I got the drive to push to be successful from people’s doubt. I wanted to prove people wrong and show them that a fusion restaurant with a craft bar can be successful, consistent and continuously innovative. Without a good head on your shoulders, drive and courage it’s very hard to be successful. Opening a restaurant is a big risk and believing in yourself and your concept is the first thing you need to do. I had the pleasure to interview Eileen Andrade. 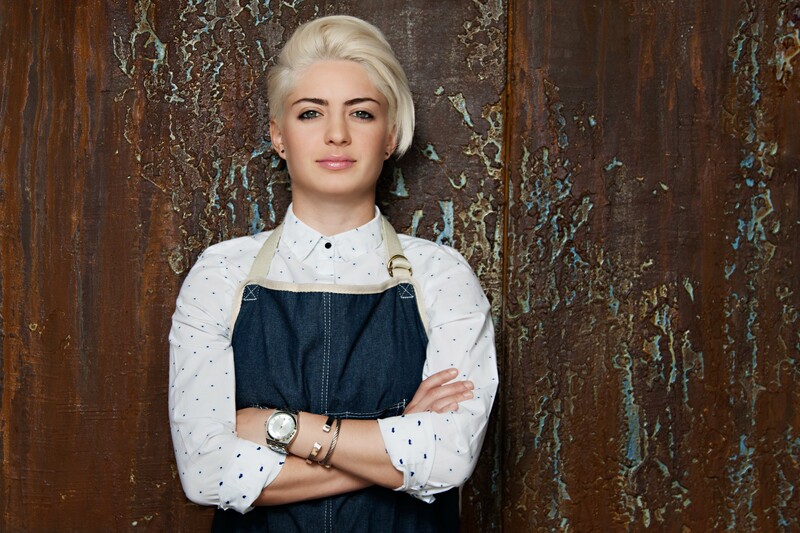 Eileen is a Cuban-American chef and owner of Finka Table & Tap and Amelia’s 1931 located in Miami, FL. Eileen began her culinary journey working at her parent’s iconic restaurant, Islas Canarias Restaurant, at the age of 19. She began working with Latin-Asian fusion when she opened up her first business, a foodtruck named CUBANCUBE. Now she is one of Miami’s youngest chefs in the West Kendall area of Miami. What inspired you to become a chef (or restauranteur)? I come from a family of restauranteurs. My grandfather owned a few restaurants and bars in Cuba. When he came to the United States for political reasons in the sixties without a dime in his pocket, he worked hard to open his own restaurant which is now an iconic Cuban restaurant in Miami. He is my daily inspiration to work hard for what you love. I began working in my parents fast paced Cuban restaurant and later worked a few years on a food truck. Now, I find myself running two brick and mortar restaurants with a total of almost 150 employees. I love the kitchen. But I also really enjoy the managerial part of owning a restaurant. Latin-Asian cuisine is my specialty. I tend to fuse Cuban, Peruvian and Korean Cuisine. These are my three favorite cuisines. I grew up on Cuban, my mentor is Peruvian and I absolutely love Korean cuisine and culture. I find it funny when guests ask to speak to the chef and I come to the table and say “Hello Folks, how may I help you?” and their response is “Oh we are just waiting on the chef.” I always walk away and come back and say “That’s me!” Their shocked faces get me every time! Success for me is when you run a fruitful business that you and your employees are happy to wake up, get ready, and drive to. When a team works together, everyone benefits from all the hard work. This business isn’t easy. It’s not only physically draining but it is emotionally draining as well. I try my best to be accessible to all my employees which has definitely helped me be successful but also takes a toll when you have as many employees as I do. When I first opened Finka, everyone in the area thought I would fail. None of the restaurants prior to Finka had been successful in that location. But I took all those comments and I turned them into drive. Finka is still one of the most popular and best rated restaurants in Miami. I got the drive to push to be successful from people’s doubt. I wanted to prove people wrong and show them that a fusion restaurant with a craft bar can be successful, consistent and continuously innovative. Without a good head on your shoulders, drive and courage it’s very hard to be successful. Opening a restaurant is a big risk and believing in yourself and your concept is the first thing you need to do. I couldn’t be happier with how my businesses are running. Like every operation, there is always room for improvement. But I have a great team that believes in my concepts and backs me up.